Wild Rose Brewery is excited to welcome back their tropical gose to Alberta, Ponderosa Gose, for summer. This highly drinkable, mixable and versatile beer will be available around Alberta on April 5 in 473mL cans at liquor stores and on tap at bars and restaurants. Wild Rose brewers developed this beer during the cold Albertan winter, thinking of warmer days. Ponderosa Gose (goh-ZUH) is an irresistibly refreshing pale, tart and unfiltered wheat beer brewed with passion fruit, salt and coriander. The Ponderosa pine may be the closest thing Alberta has to a tropical palm tree, but Albertans wouldn't want it any other way. Bernie the Bighorn Sheep is the character who brings the personality to this product. He is an Albertan party animal, always outside taking advantage of the Rocky Mountains and big sky country sunny days. Ponderosa Gose's fruity profile and high carbonation lends itself to delicious mixes with both hard alcohol and other beer, like in Wild Rose's own Beerations where their taproom bartenders blend beers together to make new, exciting flavours. 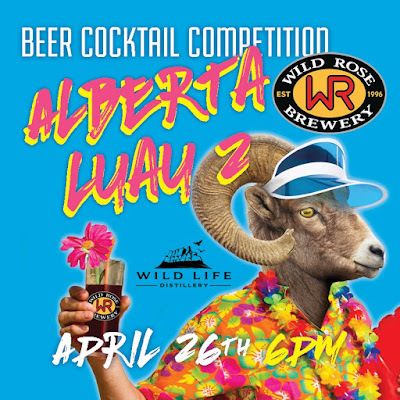 In the spirit of mixing it up, Wild Rose Brewery and Wild Life Distillery are kicking off summer with a beer-cocktail making competition. Join them at the Barracks Room (located behind the Wild Rose taproom 4580 Quesnay Wood Dr SW) on April 26 as 3 local mixologists use Wild Life Distillery spirits and Ponderosa Gose to make the best beer-cocktail of the night, voted on by guests. Enjoy luau-themed snacks and surfer tunes spun by Calgary's own DJ Patrick Whitten. Tickets are only $30 and include three 1.5oz cocktails and a meal ticket. showpass.com/alberta-luau-2/. 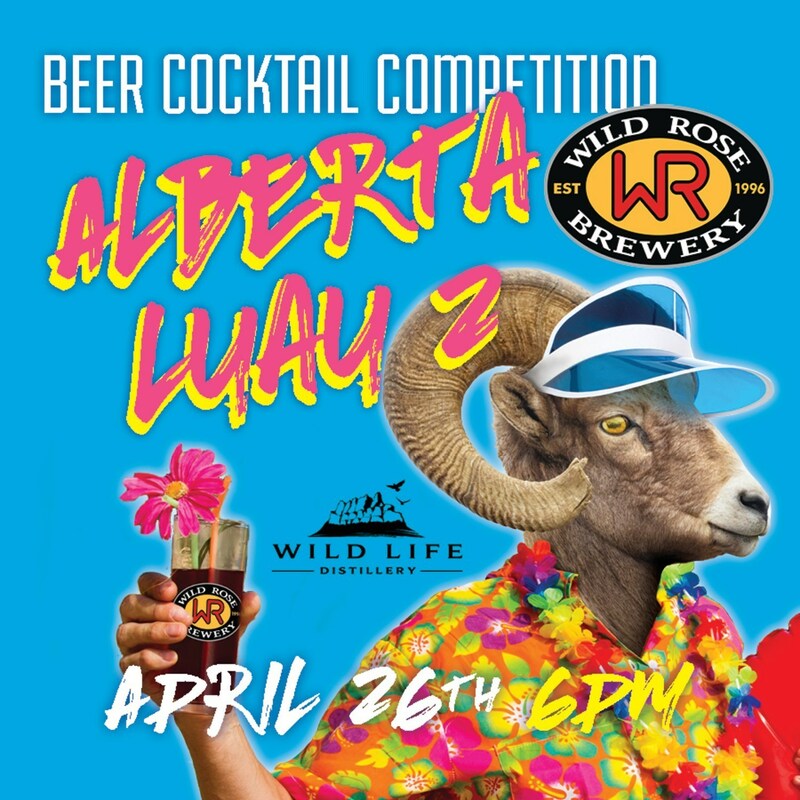 Wild Rose Brewery Ltd. – headquarters are located in Calgary, Alberta - Wild Rose beer is craft brewed with natural ingredients and the spirit that makes Alberta wild, strong and free.